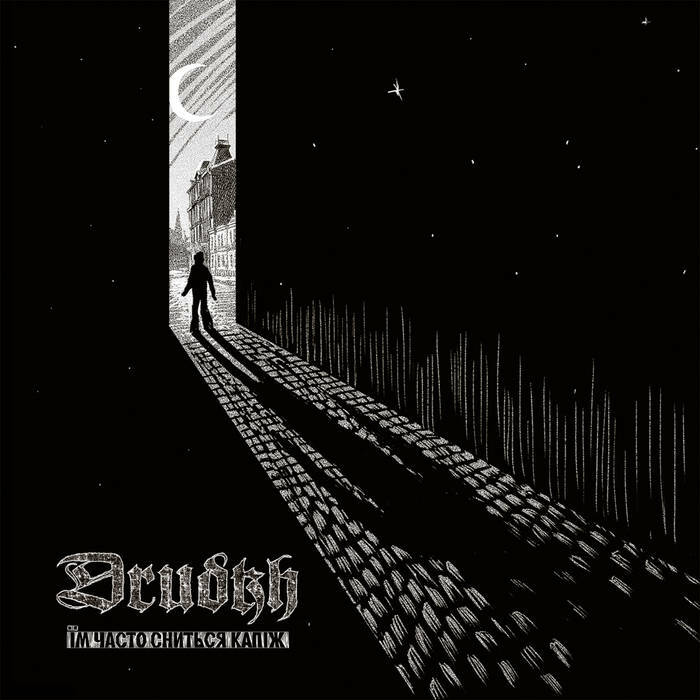 Drudkh are black metal band from Ukraine and this is their eleventh album. At this stage in their careers Drudkh are very well thought of, (for damn good reason), and very good at what they do. What they do always changes too, in one way or another, which is no bad thing. On their eleventh album they have once more brought in a more atmospheric and melodic approach to a traditional black metal base, and it sounds extremely good indeed. The songs on this album portray lavish frozen landscapes, deceptively cold and lifeless, before a vibrant abundance of colour, warmth, and pulsating life reveals itself. The classic Scandinavian second wave sound is used well across these tracks as a foundation for the band’s atmospheric and melodic constructions, using speed and blackened energy to craft wondrous sights and awe-inspiring epic works. Although the band easily hit the spot when it comes to the direct aggression that’s sometimes required by this sort of music, they really shine when they deliver the more nuanced and atmospheric sections. Having said that, even the faster, more directly aggressive parts of the songs contain nuances of delivery that a lot of bands lack. Essentially, Drudkh are a talented bunch and the songwriting on this album is pretty much above reproach; each song is affecting and impressive, easily displaying the type of songcraft that the band have become renowned for. Emotive and compelling, They Often See Dreams About the Spring is the type of individual, involving and rich black metal release that I can’t help but fall for. This entry was posted in Black metal and tagged Atmospheric Black Metal, Black metal, Drudkh, Metal. Bookmark the permalink.